The kids are back in school: moms are smiling; and unofficially, the youngsters hitting the books marks the beginning of our favorite season of the year—fall! Cool nights and with it, dropping water temperatures, transition us from summer bass and trout to the eventual arrival of fall migrations of salmon and steelhead. That said, September on the Muskegon River is one of our most pleasant months of the year. Cool mornings and warm afternoons enable perfect conditions for sipping trout and smallmouth bass busting poppers and streamers. It’s a great month, too, in which to encounter the wildlife of the Muskegon. Gone are most of the recreational kayakers and tubers, and boat traffic is typically very light. September is simply a perfect time to spend a day on the river. Plus, if you’ve never fly fished and would like to give it a shot, September is a great time to begin learning our sport. Light rod action on trout will carry us into October’s salmon run, and barring a sustained cold snap, smallmouth bass fishing will hold up at least until the middle of September. By the middle of October, though, our most sought after gamefish, fall steelhead, will start to take center stage. 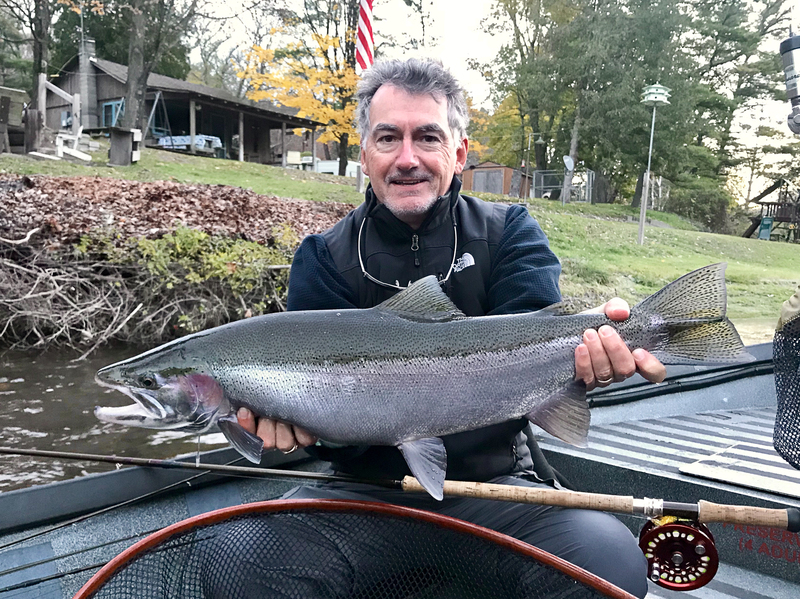 Again, guide talk is guide talk, but ask most anyone who fished steelhead on the MO last fall, winter, or spring—not to mention the big water guys who have been posing outsized steelhead this summer—some exceptionally large steelhead are very likely to find their way into our nets. Again, if you are new to all or part of this, don’t let that stop you from giving our fall fishery, whether for smallmouth bass, trout, salmon, or steelhead a try. We’ve said it many times; we love to teach and coach men, women, and youngsters fly fishing regardless of the species of fish we’re pursuing or the type of tackle we are using to connect with them. Novice or two handed Spey rod aficionado, we promise you a great day on one of Michigan’s greatest natural resources, the Muskegon River. If you are considering any of these trips, but especially for salmon in October or for fall steelhead in late October, November, or December, please give us a call ASAP. Open dates are limited, but we’ll make every effort to make your trip a reality. 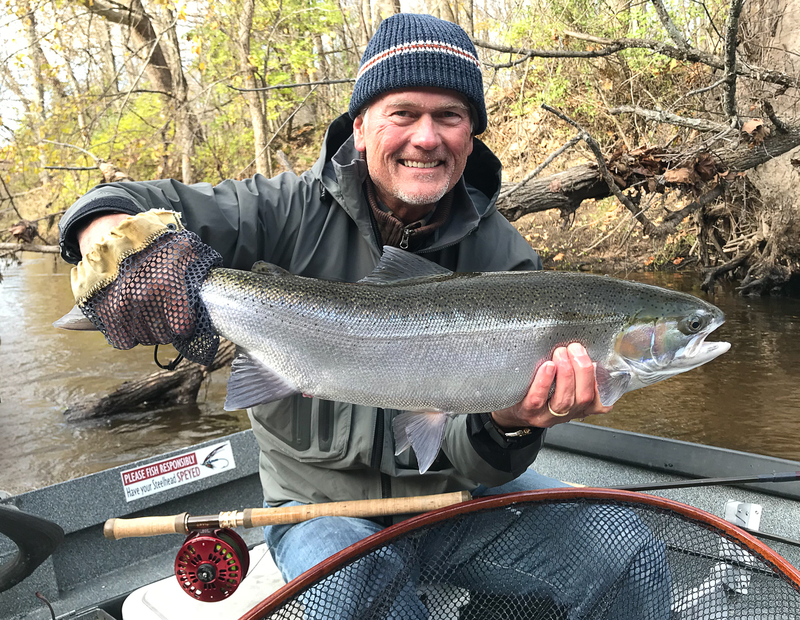 Our bookings at the Muskegon River Lodge for the Chinook Salmon and Fall Steelhead season for Muskegon River Fly Fishing are coming together nicely! If you are not yet on the schedule to stay with us for some great fly fishing but are interested in staying in our spacious Muskegon River Lodge take a moment to give us a call at (616)293-0501 to check out our open dates. Our privately secluded lodge on 12.5 wooded acres with 400 feet of prime Muskegon River frontage, the Muskegon River Lodge is the official home of RiverQuest Charters guests, a “Catch and Release Only” fly fishing guide service. 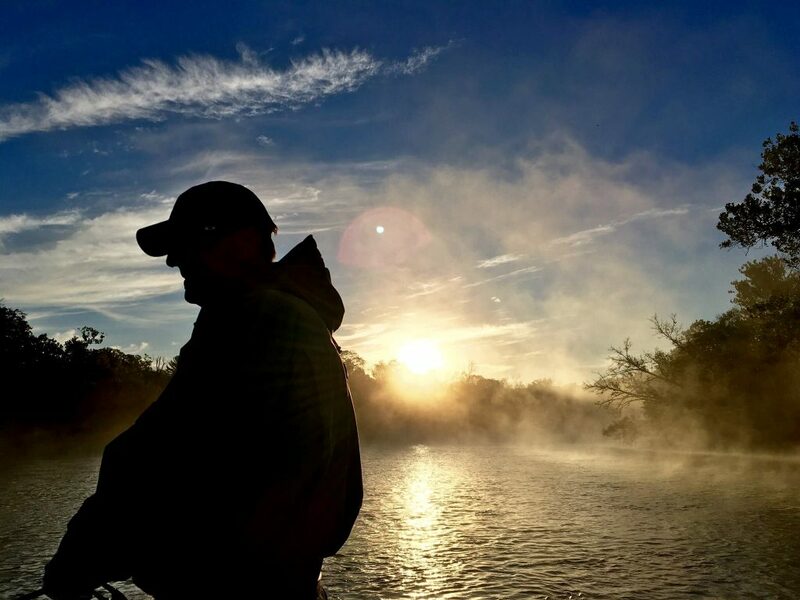 Ideally located among some of the Muskegon River’s finest steelhead runs and dry fly water, the Muskegon River Lodge offers superb fly fishing literally a cast away from the deck overlooking the river. In addition, our guests are spoiled to superb meals cooked just for them by a private Chef. We have openings available for the Fly Fishing season but they won’t be available for long. We truly believe 2018 will afford us some of the best quality Chinook Salmon and Fall Steelhead fly fishing we’ve seen for some time. Visit our RiverQuest Charters or our Muskegon River Lodge pages to check out our rates.